Matthew Mehaffey is Associate Professor of Music at the University of Minnesota, where he conducts the University Singers and Men's Chorus, and teaches graduate and undergraduate courses in Conducting and Literature. He is the proud recipient of the 2015 Arthur "Red" Motley Exemplary Teaching Award sponsored by the College of Liberal Arts. A native of Pittsburgh, Pennsylvania, Dr. Mehaffey holds degrees from Bucknell University (B.M. 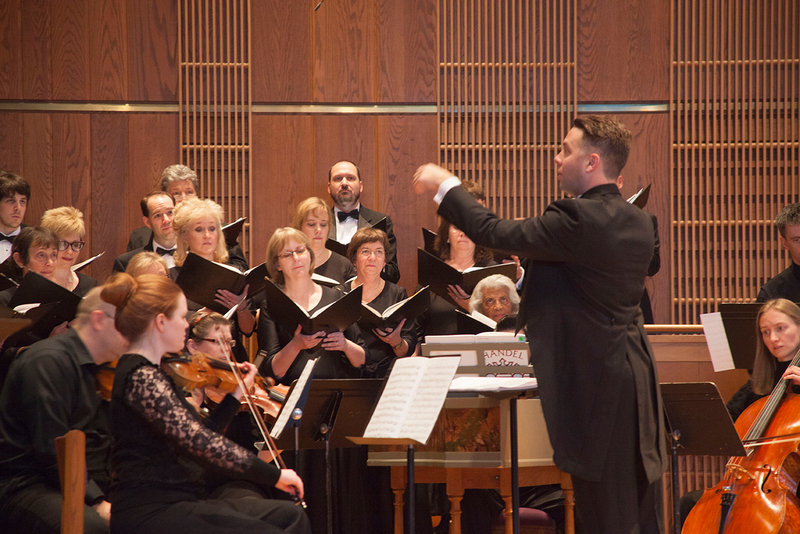 ), Westminster Choir College (M.M. ), and the University of Arizona (D.M.A). Outside of the university, he is the Artistic Director of the Oratorio Society of Minnesota, a role he assumed in 2008. Recent engagements include work with Washington National Opera, Saint Paul Chamber Orchestra, Minnesota Orchestra, Carnegie Hall, Czech National Symphony Orchestra, Prague Proms, Lyra Baroque Orchestra, VocalEssence, Minnesota Chorale, Singers in Accord, and Turner Network Television. He has lectured nationally and internationally on the topic of rehearsal technique and is a frequent guest conductor of festival choruses. He is the author of Choral Ensemble Intonation and the editor of Teaching Music Through Performance in Choir, both for GIA Publications. He recently co-authored (with colleague Kathy Romey) a chapter on American choral music for the internationally released, The Cambridge Companion to Choral Music. Additionally, Dr. Mehaffey serves as Director of Music at Hamline United Methodist Church in St. Paul. He enjoys golf, baseball, and curling in his spare time. He lives with his wife Libby, daughters Veda, Colette and Summer, and their dogs Switzer and Bettis.